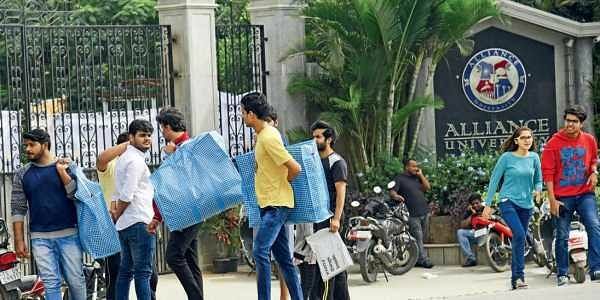 BENGALURU: In the light of the Alliance University fracas where students have been affected due to a dispute between two brothers over ownership of the institute, the state government has decided to amend the Karnataka Education Act so that it can intervene in such cases. Presently, there is no provision under the Act for the government to interfere or initiate action against private universities. The minister said he is convening a meeting with his department officials on Monday and plans to place the amendments in the upcoming Assembly sessions scheduled to begin in Belagavi from November 13. “I will discuss with my department officials and try to place amendments in the winter sessions itself,” said Rayareddi. Rayareddi also ensured of legal action against Alliance University for disrupting academic schedules of students. “I will even discuss with the Law Department about initiating legal action. Once it is finalised, we will issue notice to them,” he said. There are over 10 private universities in the state. A student alleged that the men who were evicting the staff and students also misbehaved with two girls. “The girls were recording a video of what was happening. They spotted that and broke the phone on which the video was being shot. They then misbehaved with the girls,” a student said.